A reddish grey spider appeared on the western rim of Wbx this afternoon and posed long enough for me to get a snapshot even though light levels were very low and the sallow log in my way. 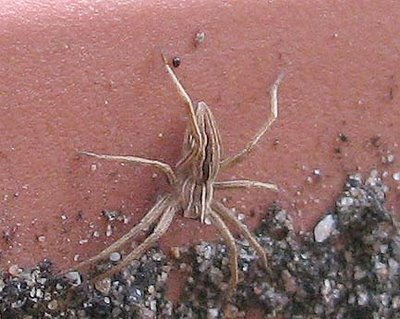 It was a small specimen of Pisaura mirabilis, sometimes known asthe'nursery web spider' from the way the female guards the egg sack. There is one plant of greater plantain in Wbx but, although the soil is good, it does not grow nearly as well as others of this species do on trampled gateways, lawns and so on. 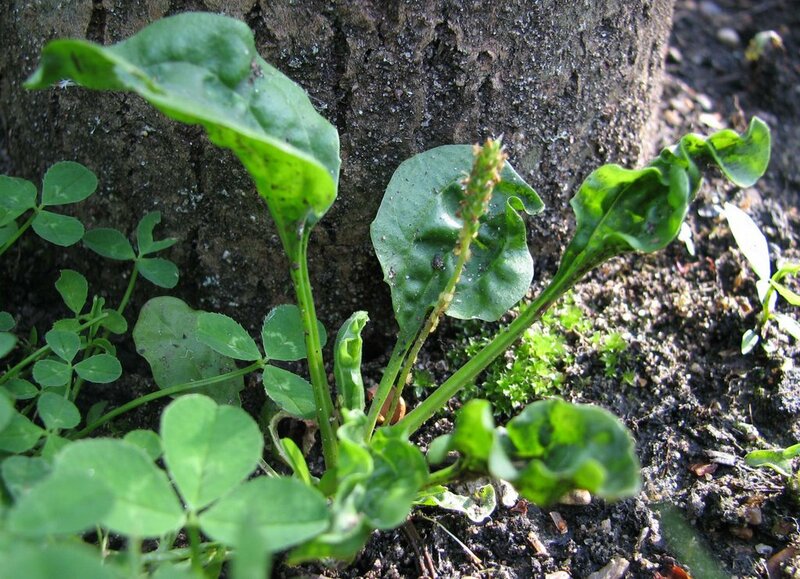 The main reason seems to be is that it has been infested with aphids ever since it was very small and these have considerably distorted the leaves. There are three aphid species that live on P. major and I have not yet worked out which one this is. Despite this problem, it has managed to produce a flowering spike and will set seed.